Fashion e-tail powerhouse REVOLVE perfected their Instagram Stories content and fully engaged their audience gleaning insights from Dash Hudson’s Stories Insights. This set the stage for the next must-have item for the season: REVOLVE now needed an easy and intuitive way to elevate their Instagram Stories ads with minimal lead time. Dash Hudson listened and introduced Story Studio. How Story Studio templates make creating engaging on-brand Instagram ads easier for REVOLVE’s social team. What creative worked best for REVOLVE’s paid strategy. The return on ad spend (ROAS) REVOLVE experiences running ads created with Story Studio. 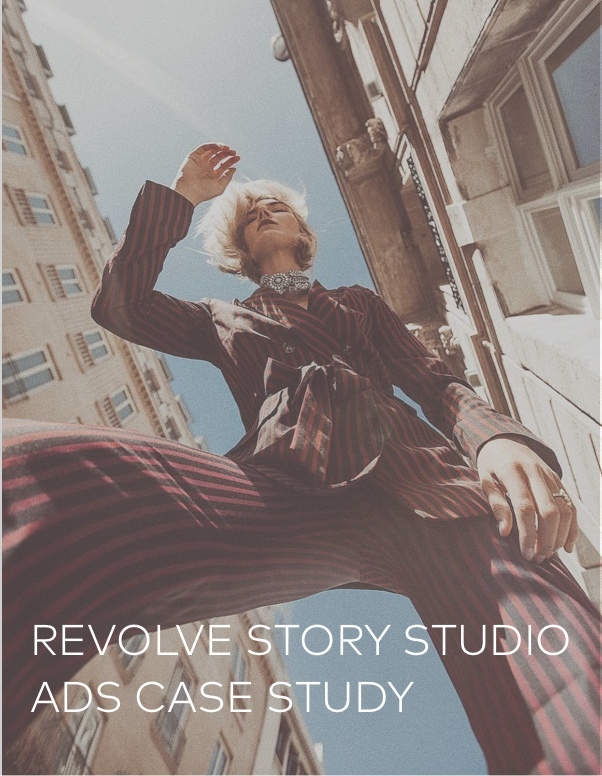 Download the case study to stay on the pulse with REVOLVE!